What would you do if you got into an elevator with Bayern Munich head coach Jupp Heynckes? Surely you wouldn’t ask him if he’s a Bayern fan, right? Well that is exactly what an unsuspecting American couple did after failing to recognise the treble-winning coach. Speaking at his pre-match press conference ahead of his side’s potential crowning at Augsburg on Saturday, the man who has steered the club from a five-point deficit to the verge of a sixth consecutive Bundesliga title entertained the gathered media with an anecdote from his morning. Despite his legendary status in Munich after winning the club’s first treble of Bundesliga, DFB Cup and UEFA Champions League in 2013, it appears one of the biggest figures in world football can still get into an elevator in the city without being recognised. “I got into the lift this morning in my hotel, and on the fifth floor an old couple got in with three suitcases. It was quite cramped inside,” the veteran tactician began to tell the excited media. “He was quiet but she was friendly and said ‘good morning’, so I said ‘good morning’ back. I was holding a Bayern Munich bag so she asked ‘oh, are you a Bayern Munich fan?’. I said, ‘yes, sure!’” the two-time Champions League winner with Bayern and Real Madrid continued to explain to laughter from the gathered reporters. The Bundesliga’s record champions will be taking their summer tour to the USA ahead of the 2018/19 season, giving soccer fans Stateside their first chance in two years to see Bayern play in the flesh. 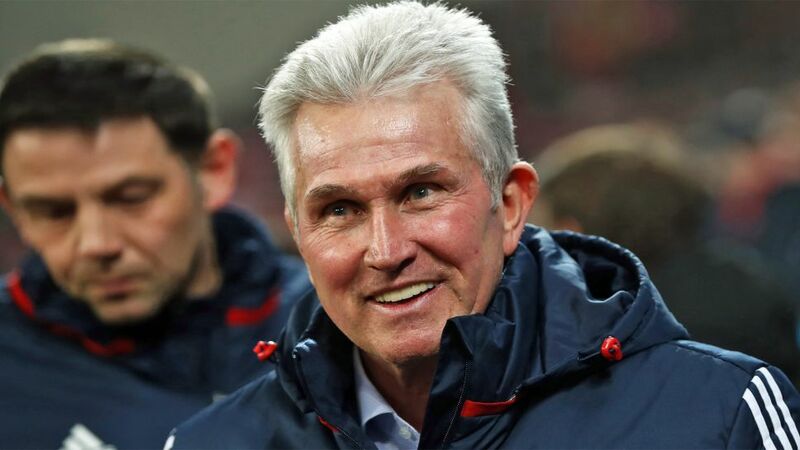 Heynckes, however, will not be there giving Americans the chance to familiarise themselves with the legendary coach. He has repeatedly reiterated his intention to retire once more at the end of this season – perhaps with another treble to his name – and the club will announce his successor by the end of April.